Buying a 2012 Toyota Tacoma, and saving $2500 off of MSRP. They used the rewards program which is good for local retail and restaurants, as well as future discounts on next vehicle purchase and service. They have a "Mr Lube" style oil change in and out in 20mins no appt. They have a no pressure sales tactic. No sales people will approach until you ask. I used my report by knowing thier wholesale price and started my negotiation at 2% for them. Buying a 2010 Toyota Tacoma, and saving $1500 off of MSRP. 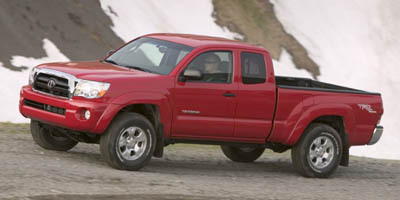 Buying a 2009 Toyota Tacoma, and saving $4000 off of MSRP. I have only used the site the one time but felt that it was easy to navigate and provided me with the information I needed to get a good deal on my truck. Buying a 2008 Toyota Tacoma, and saving $1500 off of MSRP. Buying a 2012 Toyota Matrix, and saving $1000 off of MSRP. Tony Graham - ottawa My information gave me some idea of what I should be paying. The Hawkesbury dealer you recommended was too far for me to go. Buying a 2011 Toyota Matrix, and saving $3000 off of MSRP. The sales rep was a good guy but the dealership/management is extremely duplicitous and underhanded. Several times I caught them in lies, and they even lied about the "Grand Total" The monthly price was different from the Grand Total because they slipped in a ''walk-away'' insurance without telling me. Then they lied about it being mandatory for Toyota Financing. They also lied about the wholesale price several times but still sold me the car even though they were practically giving it to me at no profit. Buying a 2011 Toyota Matrix, and saving $1000 off of MSRP. Dealer has a very good service department. Owned 2002 Toyota Corolla for 8 years. Most reliable car I've ever owned. Expect same level of quality and reliability from my new 2010 Toyota Matrix. Showing Car Cost Canada's Wholesale Price Report resulted in a me getting a bigger discount. 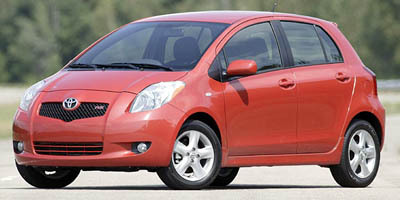 Leasing a 2009 Toyota Matrix, and saving $1500 off of MSRP. I went to Tony Graham after 5 underwhelming years dealing with Mendes. The sale was theirs to lose and they lost it. Colin at Tony Graham was friendly, easy going and honest. Based on what we learned from this site we formulated our first offer (cost plus 4% dealer profit) and evevtually agreed to cost plus 5. After the final price was set we then got them to make our first payment and our last payment on our lease return. Buying just before Christmas puts the advantage in the buyer's court. As for how we presented the Car Cost data, we just made it blatantly obvious that we had it and kept referring to it, without ever saying we had it and therefore weren't about to be taken to the cleaners. It's better to hold your cards and let them think what they like. Buying a 2009 Toyota Matrix, and saving $1500 off of MSRP. We had already made up our mind on the vehicle and dealer. This is the 2nd vehicle we buy from TGLT and that was surely an important factor from the dealer's perspective - they really really want repeat buyers and it is definitely worth a lot to them. Knowing the difference between the retail price and the wholesale price actually put some parameters around what was reasonable for negotiating, because nothing is worse than being so far off that you can't even negotiate. 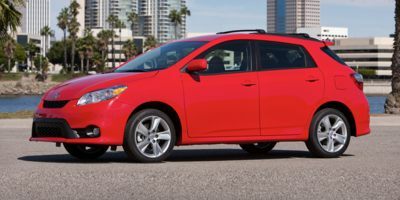 Leasing a 2009 Toyota Matrix, and saving $1000 off of MSRP. We were looking to downsize amd we knew that this is a popular model, with a very popular set of options. The report allowed me to know what kind of face profit there was (excluding dealer incentive bonuses), so I knew when we got into negotiation about how much a fair profit would be. The whole exercise went very smoothly and quickly. Leasing a 2008 Toyota Matrix, and saving $2000 off of MSRP. I used the Wholesale Price Report to determine how much money I should be willing to pay the dealer for retiring a lease on a 2004 Toyota Echo 13 months early. Buying a 2012 Lexus RX 450h, and saving $8000 off of MSRP. Lexus is pricey, but reliability and resale value is vastly superior to the competition. Using The report significantly simplified the negotiating process and saved me much time in a process that I find disagreeable. I put CarCost's report on their desk right at the beginning. It showed the dealer that I was serious. They reacted intelligently to it and we avoided the little games most dealers play. Your product was a very useful tool. 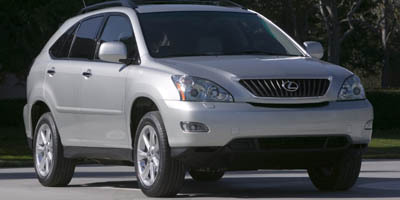 Buying a 2010 Lexus RX 450h, and saving $2500 off of MSRP. Buying a 2012 Toyota Camry, and saving $1500 off of MSRP. Buying a 2011 Toyota Camry, and saving $1500 off of MSRP. Toyota was harder than Mazda to negotiate with, they are more set in their pricing. As always, I negotiate the entire out the door cost of the car first to reveal any fees. Then I show my price report and prepare an offer based on the amount of commission the dealership wants to pocket. 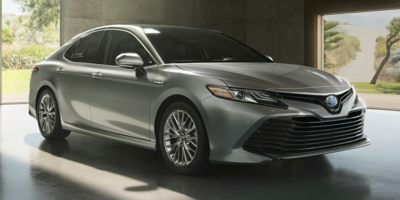 Buying a 2009 Toyota Camry, and saving $2000 off of MSRP. Just as advised by CCC, start at 2-3% above wholesale and don't forget to subtract the incentives. Make sure the dealer knows up front you have access to CCC, they know all about it and respect it. Buying a 2009 Toyota Camry, and saving $1500 off of MSRP. Buying a 2008 Toyota Camry, and saving $2500 off of MSRP. Vehicle chosen because of reputation for reliability. Dealership chosen because of good reputation and proximity to home. Price report provided a benchmark for negotiating and assessing competitiveness of dealers offering. 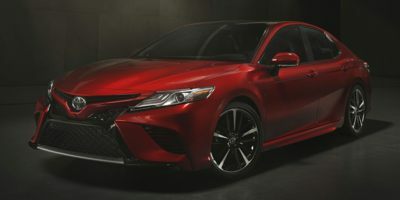 Buying a 2012 Toyota Camry, and saving $2000 off of MSRP. Show them the report and buy with the wholesale price. Buying a 2012 Lexus RX 350, and saving $2000 off of MSRP. The Wholesale Price Report, along with the Car Cost Canada negotiating tips, were indispensable in getting to the price I was comfortable, and happy, to accept. It took all the mystery out of trying to determine whether or not I got a good price. Also, don't limit yourself to dealing with only one dealer. I dealt with two and in doing so was able to gauge whether I had reached the limit of my discount possibilities. I’ve bought lots of cars and this is the first time I truly feel I got a good deal. With the addition of the end of year factory incentive ($3,000) and an additional discount on the winter tire/alloy rim combination I did very well indeed. I was treated very well by the salesperson at Tony Graham Lexus during my visits/negotiations and recommend them highly. Buying a 2010 Lexus RX 350, and saving $2000 off of MSRP. I selected the dealer because of their location and professionalism. They knew I had the CCC report but did not require to see it for the deal. 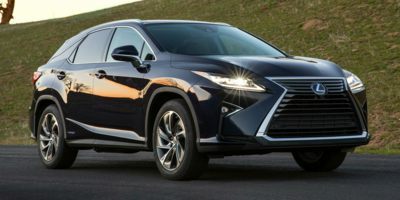 Leasing a 2010 Lexus RX 350, and saving $3000 off of MSRP. I let the salesman know I had the report (showed it to him) and he confirmed the information I had and then I told them I wanted him to make a profit but not all of it so we split, he got 50% and I got 50%. I threw in aftermarket back up sensors colour coordinated on which I knew he was making a little bit extra as well but it saved me from ordering the $8000 plus package which had the factory built sensors but I did not need all the other bells and whistles that package offered. In addition I got considerably more for my trade (2004 RX330) than I was offered by BMW or GM (Cadillac SRX). Dealer also had to get the car from another dealer in another part of Ontario. 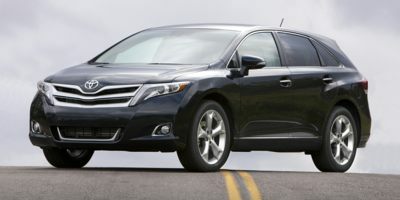 Buying a 2011 Toyota Venza, and saving $1500 off of MSRP. We used the report as the bases of our negotation. The company had a bit of a time finding our Car but did. We will be picking it up day after tomorrow. Buying a 2011 Toyota Venza, and saving $2500 off of MSRP. Buying a 2009 Toyota Venza, and saving $2000 off of MSRP. You can do a lot of research on the Internet - Consumer Reports, Edmunds.com, MSN.com, etc. The wholesale price report really does put you in the driver's seat letting you bargain from the wholesale price up instead of the retail price down. 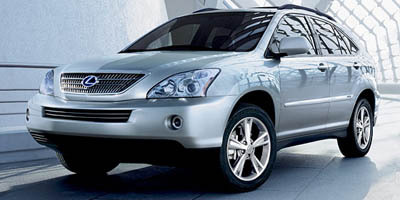 Buying a 2008 Lexus RX 400h, and saving $1500 off of MSRP. Buying a 2011 Toyota Corolla, and saving $1000 off of MSRP. I chose my dealer because that is where I leased my previous car from. The pre-sales experience was great, but after I put down the money, my experience was nothing but frustration and anger. I had to call the dealership too many times in order to get anyone come back to me and let me know where my new car was. It took almost a month before I got the car, and over two weeks to get any information as to what's happening with my car... there was not too much room for burgeoning with the report from Carcostcanada this time, but I was able to get them to pay for new wheels, over mileage and tinted windows, and still come about $500 shorter than the retail price. Buying a 2010 Toyota Corolla, and saving $2000 off of MSRP. 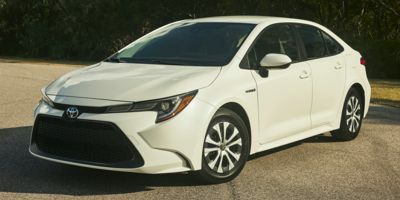 Leasing a 2010 Toyota Corolla, and saving $1500 off of MSRP. Buying a 2010 Toyota Corolla, and saving $500 off of MSRP. Provide carcost value when purchasing vehicle. Buying a 2009 Toyota Corolla, and saving $3000 off of MSRP. Excellent service hours. Having the report available - I negotiated online, then went in to the dealer and was out with a deal within 45 minutes. This included a test drive. This was much less stressful. Buying a 2009 Toyota Corolla, and saving $1000 off of MSRP. Always go to the dealer with the Wholesale Price Report with you. Depending on the markup of the vehicle, offer a fair amount off their markup. This shows you are serious and understand the process. Buying a 2009 Toyota Corolla, and saving $1500 off of MSRP. Buying a 2009 Toyota Corolla, and saving $2000 off of MSRP. Keep negotiating but be FAIR. Go to different places to see the prices that are being offered to you. Walk out when a sales rep. tells you that you are wasting his time simply because he cannot get you to buy the car at his price. NEVER believe a sales rep. that tells you that they don't have to negotiate anything with you and that they can sell the car to you at full price if they want to. Salespeople like that are not helpful and are obviously not willing to negotiate with you. They are actually the ones wasting your time. Just walk out. You have the money, not them. Buying a 2008 Toyota Corolla, and saving $1000 off of MSRP. I chose the dealer based on location; but quite poor service - the first sales rep was "no longer with them" when we showed up for a 2nd appointment/test drive ( we were never called); they scrambled to find a replacement rep (very busy); he never followed up on promised calls to indicate when the car would be ready, etc. Wholesale Price Report showed us that there was not very much markup on that model. 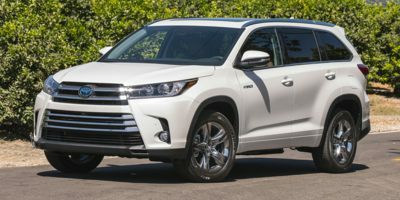 Buying a 2011 Toyota Highlander, and saving $3000 off of MSRP. I don't think this dealer even participated in the CCC model, but the report allowed us to negotiate on an even playing field and get the best possible deal. Frankly we would have bought the 2011 Explorer from another dealer but the deal hinged our trade in. We left feeling very good about a car buying experience which says a lot! 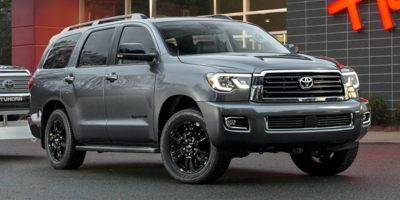 Buying a 2010 Toyota Sequoia, and saving $7000 off of MSRP. The price report info was very useful in negotiating the deal. I presented a business case as to why I should get the car for my calculated price and was fully prepared to walk away if I did not get exactly what I wanted. The dealer was very eager to sell this car and it worked out. Buying a 2011 Toyota RAV4, and saving $2500 off of MSRP. Having the quote from the Car Cost Canada area's low margin profit dealer helped along with being up front and telling the dealer I was a CCC member. Buying a 2010 Toyota RAV4, and saving $2500 off of MSRP. Buying a 2010 Toyota RAV4, and saving $2000 off of MSRP. It is clear to us that the background information provided as a member of Car CostCanada definitely demonstrates to dealers that an "informed" customer is able to negotiate a better price than normally offered. It is interesting to note that the dealers are now aware of CarCostCanada and are ready to sharpen their pencils knowing that the competition is out there for them to offer realistic deals right from the beginning! Buying a 2009 Toyota RAV4, and saving $1500 off of MSRP. Have the printouts with you when going to negotiate the deal and make sure the salesman/lady sees it. That way when he/she goes to the sales manager, they'll know that you already know the dealer cost. Knowing the dealer cost allowed me to know exactly how much of a mark up the dealer was offering and how much room they had to give discounts on. Buying a 2009 Toyota RAV4, and saving $2000 off of MSRP. Buying a 2008 Toyota RAV4, and saving $1500 off of MSRP. Leasing a 2008 Toyota RAV4, and saving $1500 off of MSRP. Leasing a 2008 Toyota RAV4, and saving $2000 off of MSRP. Toyota and Tony Graham are pretty much a lock in the nation`s capital. As far as using the wholesale price, put it on the table right next to the dealer's spec sheet. Understand that the dealer has to make money just to stay in business, and consider that inclusion of dealer services like rustproofing, accessories, can be an effective compromise in a pinch. 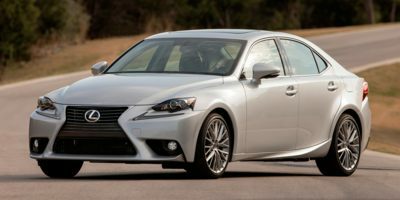 Leasing a 2011 Lexus IS 250, and saving $500 off of MSRP. Excellent service at this dealer from past Lexus that made me want to go back. Would recommend dealer to anyone considering a new Lexus. Buying a 2011 Toyota Camry Hybrid, and saving $1500 off of MSRP. Use CarCostCanada service. It helps to keep you informed and save you money. 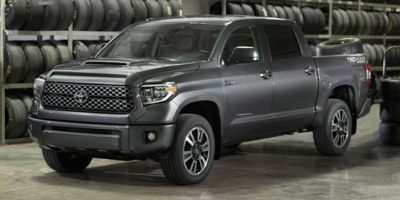 Buying a 2010 Toyota Tundra, and saving $3000 off of MSRP. Leasing a 2011 Toyota Sienna, and saving $1500 off of MSRP. 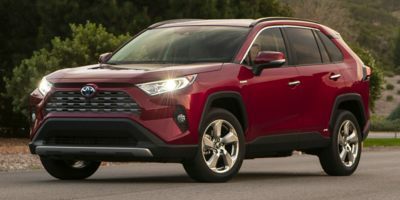 After narrowing our list down to the Toyota Sienna and the Honda Odyssey, we obtained our price reports from CarCostCanada.com for each vehicle. 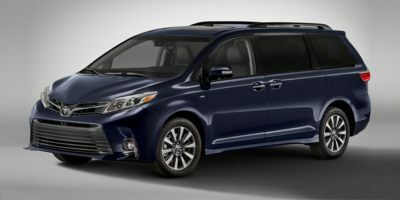 We looked at all the numbers provided for both vehicles and decided that the Toyota Sienna was the better fit for our family. We received an e-mail the next day from a sales representative in a dealership out of town that was the CarCostCanada recommended dealer offering to do business at wholesale plus 3%. We've done business in the past with a local dealership and have been very satisfied with their sales and after market service so we went in with our CarCostCanada Report and our offer from the other dealership and posed the offer as a yes or no question. There was no back and forth negotiations (although they did come back once asking how the other dealership told me they could sell it at that price...) they accepted our offer of $27,614. Wholesale on our vehicle was listed at $26,914 and M.S.R.P. is $28,900 which gave us a savings of $1,276 not including taxes and interest saved on the lower amount. Thank you everybody at CarCostCanada. I''ve since used my remaining reports to help friends that are in the market for a new car as well. MORE FEEDBACK TO COME !! Buying a 2010 Toyota Sienna, and saving $2000 off of MSRP. Buying a 2008 Toyota Sienna, and saving $2000 off of MSRP. I offered wholesale price plus $500, and the dealer returned with the offer of wholesale price plus $700. Buying a 2008 Toyota Sienna, and saving $1500 off of MSRP. I chose Tony Graham Lexus Toyota because it is the largest Toyota dealer in eastern Canada & 3rd largest (sales)in Canada.In over 35 years in business it established an excellent reputation especially for service. Ms Wang won best salesperson award in 2006 & 2007, a well-deserved honour.The wholesale price report was useful; we split the difference between it and the MSRP. 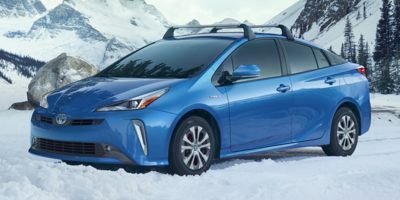 Buying a 2010 Toyota Prius, and saving $4000 off of MSRP. Buying a 2008 Toyota Prius, and saving $1000 off of MSRP. Buying a 2009 Lexus ES 350, and saving $4000 off of MSRP. I bought at Tony Graham, Ottawa. I know a person on staff, and they have a good selection of vehicles. I went armed with the wholesale price and the advice given by CARCost Canada a long time ago, to offer cost plus 3%. Here we were dealing with a Lexus incentive, and so that became part of the dealing. 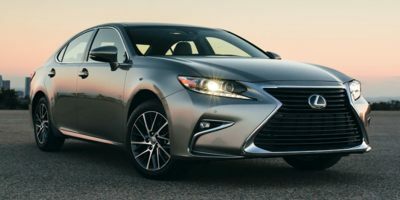 Buying a 2008 Lexus ES 350, and saving $5000 off of MSRP. We worked on the estimate of a dealer profit of 6%. 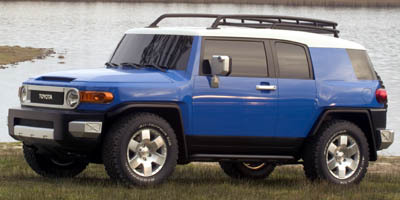 Buying a 2008 Toyota FJ Cruiser, and saving $7000 off of MSRP. Choose the dealer that has the vehicle you want on the lot. Check the glove compartment to see when the dealer prep was done on the vehicle. That will tell you approximately how long the dealer has had the car on the lot, which will be a good indicator of how anxious the dealer will be to move the vehicle. Do not let the dealer try to bring a vehicle in from another dealer they will lose negotiation room. Always bring lit/info on other vehicles with you, so that the dealer realizes that you may purchase another make. Do all your research before you sit down, know the vehicle you are talking about. This minimizes the dealers ability to snow you. Tell them you have the Car Cost Canada report, base your offer on markup over their raw cost. Make your offer all inclusive. And last but not least make sure the dealer knows you are ready to purchase on the spot or walk away if you do not get the deal you want. Buying a 2008 Toyota Yaris, and saving $500 off of MSRP. Not much markup on the Yaris, it was pretty hard to negotiate a discount. I was in a bit of a rush because my old car had been destroyed by a schoolbus and I am currently paying for a rental car. If I had time I would probably go through dealfinder.ca and avoid as much of the dealership experience as possible. Buying a 2008 Toyota Yaris, and saving $1000 off of MSRP. Okay, your first offer should be the dealer cost. From there negotiate; we gave in a couple of hundred. I did not let them know I had the invoice price.